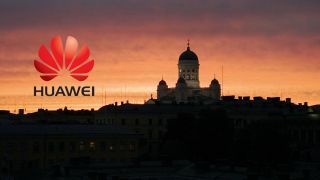 Over at the company's first ever Developers Congress, Huawei has pledged to support ICT developers with a serious amount of investment – no less than $1 billion (£650 million) across a multi-year scheme. Ryan Ding, Huawei's Executive Director and President of Products & Solutions, announced: "The aim is to help developers create innovative services and rapidly respond to customers' business needs. Over the next five years, Huawei will invest $1 billion to implement its Developer Enablement Plan, build a developer enablement platform, and jointly innovate with developers." Huawei plans to aid developers on a number of fronts, including help when it comes to training, a marketing fund, and an innovation fund which will provide both equipment and expertise when it comes to jointly developing products. The central part of this initiative is the construction of a developer-centric platform by the name of eSDK, based on the LEADS concept, which stands for Lab as a Service, End-to-end, Agile, Dedicated and Social. That will include tech experts offering support 24 hours per day, seven days a week, and a Developer Zone which will help Huawei's partners engage with each other when it comes to the development process. The Chinese company also noted that developers would benefit from its cutting-edge tech across a number of arenas, from the cloud and Internet of Things, to big data and SDN. Huawei is making strides in many parts of the tech industry, not least the smartphone arena, where according to recent IDC stats it is now the third largest phone vendor globally, with a 9% market share only bested by Apple and Samsung (although it is still some way behind those firms).